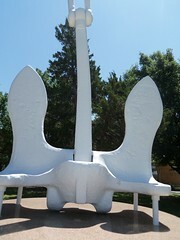 This anchor was one of three that were added during the Navy's modernization of the USS Oklahoma in 1927. 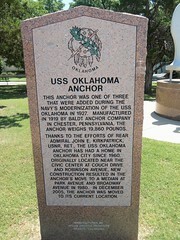 Manufactured in 1919 by Baldt Anchor Company in Chester, Pennsylvania. 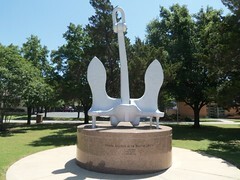 The Anchor weights 19,860 Pounds. 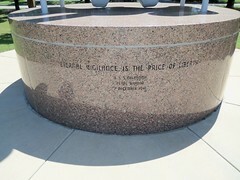 Thanks to the efforts of Read Admiral John E. Kirkpatrick, USNR, Ret. 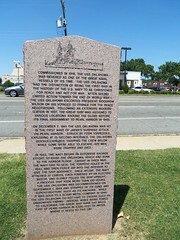 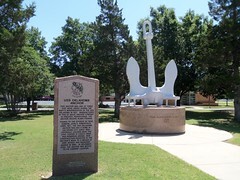 The USS Oklahoma anchor has had a home in Oklahoma City since 1960. 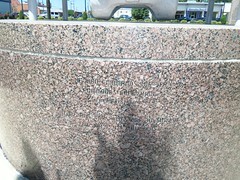 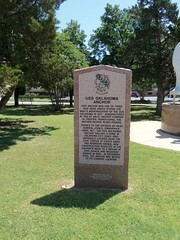 Originally located near the civic center at Couch Drive and Robinson Avenue. 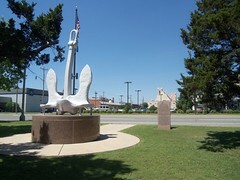 New construction resulted in the anchor's move to a median at Park Avenue and Broadway avenue in 1980. 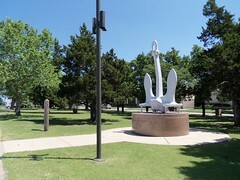 In December 2005, the anchor was moved to it's current location.